Pre-payment is required. This is a group tour, which lasts 45 minutes & requires reservations. Christmas is just 9 days away, so shop for unique gifts & local foods. The Olive Mill’s unique gift boxes are perfect for those hard to shop for. 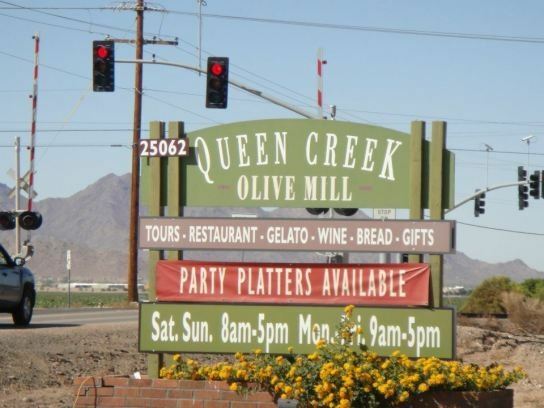 The Queen Creek Olive Mill is the only producer of Arizona Extra Virgin Olive Oil & is used by top chefs in Arizona, so your gift will be uniquely Arizonan. They also have a nice array of wines.